On Oct. 31st, 2018, Prof. Liu Jian and Prof. Tim Christophersen from United Nations Environment Programme (UNEP) visited CAAS for academic communication invited by Agro-environmental Protection Institute of Ministry of Agriculture and Rural Affairs of the People’s Republic of China (AEPI). 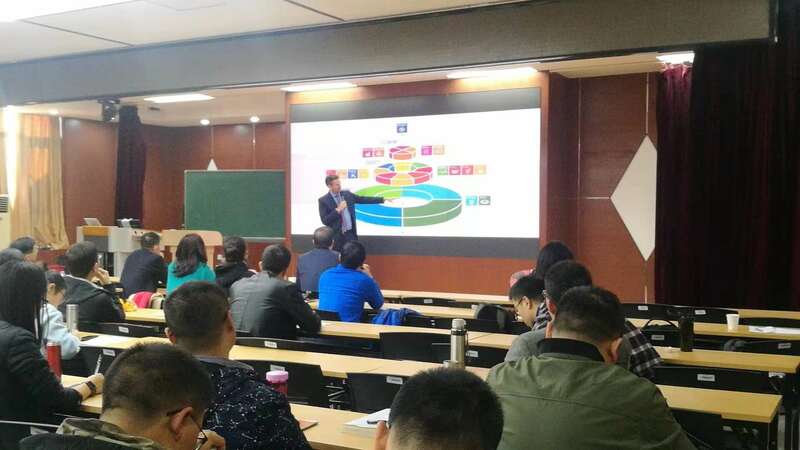 Their keynote speeches of “Innovation for Green Solutions” and “Restoring forests and landscapes: the key to sustainable future” had achieved consistent high praise from experts and postgraduate students of Chinese Academy of Agricultural Sciences (CAAS). After keynote speeches, participants asked their interested questions and communicate well in these related issues. Prof. Liu Rongle, Director General of AEPI, hosted this academic communication. 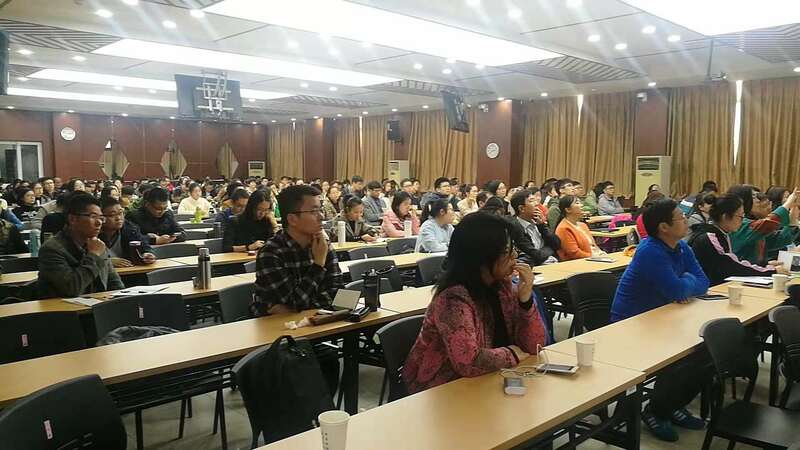 More than 200 experts and postgraduate students, including Prof. Zhang Keqiang, Deputy Director General of AEPI, and other experts from AEPI attended this activity. Prof. Liu Rongle extended warm welcome to Prof. Liu Jian and Prof. Tim Christophersen who introduced the detailed information of UNEP which is founded in 1972 and headquartered in Nairobi, Kenya. UNEP is the global leading environmental authority that sets the global environmental agenda, promotes the coherent implementation of the environmental dimension of sustainable development within the United Nations system, and serves as an authoritative advocate for the global environment. In the keynote speech of “Restoring forests and landscapes: the key to a sustainable future”, Prof. Tim Christophersen noted that restoring forests and landscapes is a process of reversing the degradation of soil, agricultural areas, forest and basins, regaining their ecological functions, improving landscape productivity and capacity, and meeting the society changing needs. He stressed that the restoration of global degraded forests and landscapes is an indispensable, urgent and viable action for the sustainable development goals. 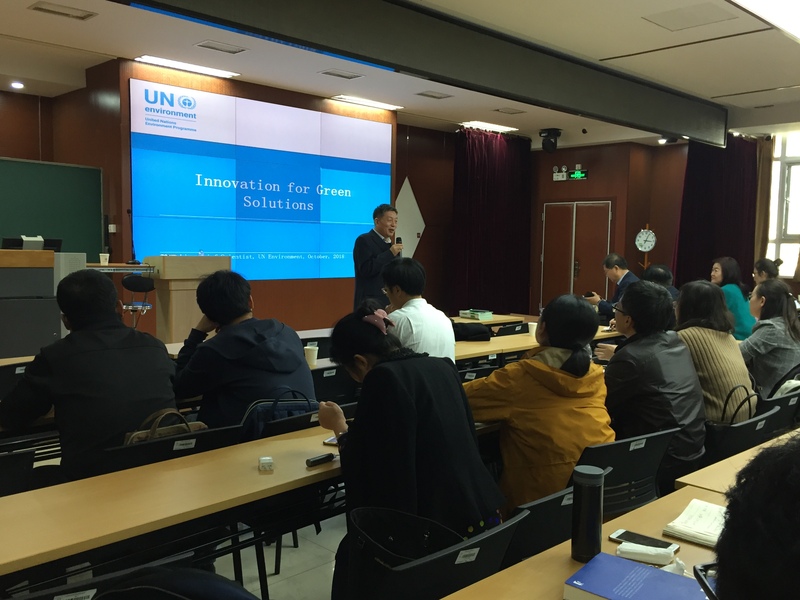 In the keynote speech of “Innovation for Green Solutions”, Prof. Liu Jian pointed out that the innovation for green solutions is a key work for UNEP, and gave a detailed introduction on our current environment situation and importance of its innovation. He emphasized that it is the urgent issue for the United Nations to think that how to put advanced green technologies on the needed place. 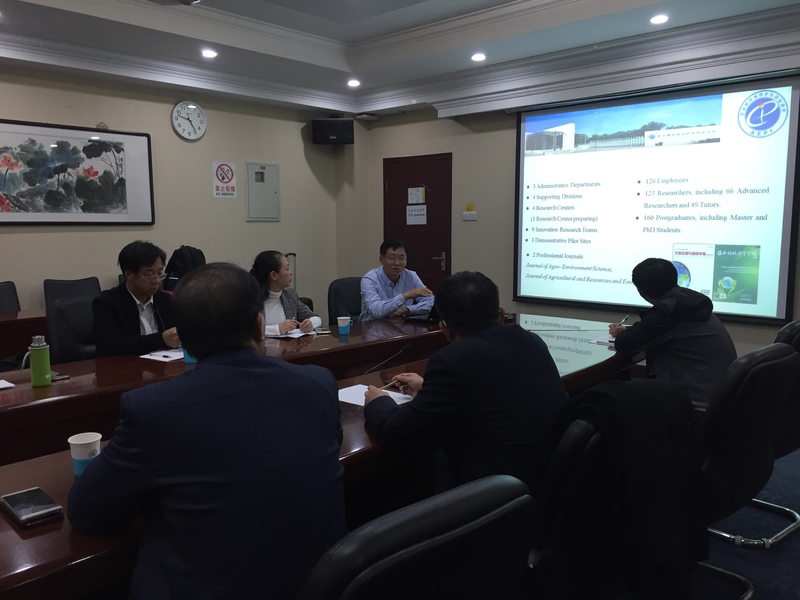 At the same time, Liu encouraged experts, research institutes and research agencies in the field of environmental protection to contribute their good ideas to promote the development of green environment and related policies. After their reports, the experts from AEPI and UNEP had a group discussion in the field of agro-environmental protection. Prof. Liu Rongle expressed sincere appreciation for their excellent reports. Prof. Zhang Keqiang introduced general situation of AEPI and its main achievements in the international cooperation projects and platforms in recent years. The two sides exchanged views on further cooperation in the field of agro-environmental protection, and expressed their further cooperation intentions. More than 10 AEPI experts attended the above group discussion.